Old-World Charm Meets Luxury Living at Cholla Palms Nestled in the Palm Springs resort area, long recognized as a playground for the stars, the mesmerizing hillside villa, Cholla Palms, seamlessly marries the natural landscape with stunning Spanish architecture to create a private sanctuary perfect for even the most discerning taste, where old world charm meets luxury living. 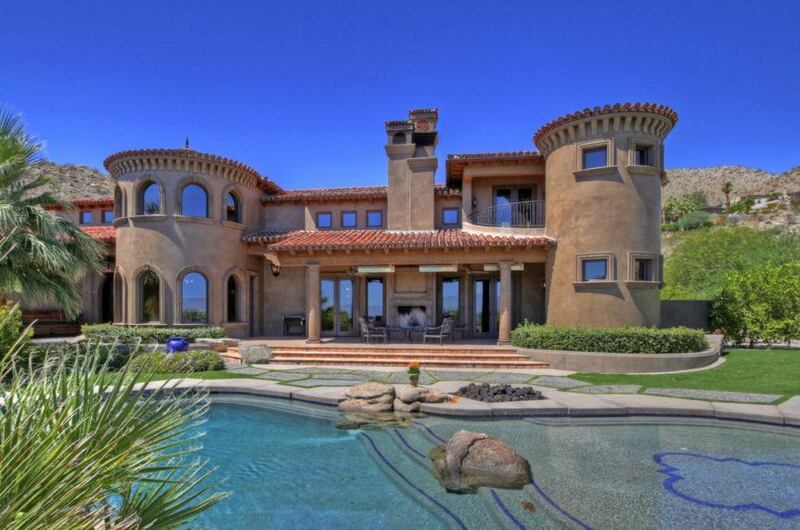 Located on 2.39 acres in Cahuilla Hills, this magnificent estate boasts room for everyone across 6,254 square feet encompassing four bedrooms, all with en suite baths. The home itself is secluded and removed from neighbors, accessible through a private gate and drive into a circular motor court.